The Armstrong Pirates soccer team opened their season Friday when they hosted the Catawba Indians. The Indians needed a second half comeback to push past the Pirates with the 3-2 victory over the home team. The action was back-and-forth all day and it was the Indians who struck first. In the 17th minute, Catawba’s Becky Frost took a pass from Erin Feldman and poked a shot just past Armstrong goalkeeper Morgan Luckie. However, the Pirates did not take long to respond. Armstrong freshman Jenny Allen streaked past the Indians after an assist from Mary Davis and beat the Catawba goalkeeper to even the score 1-1 in the 19th minute. The Pirates added on to that score just eight minutes later. 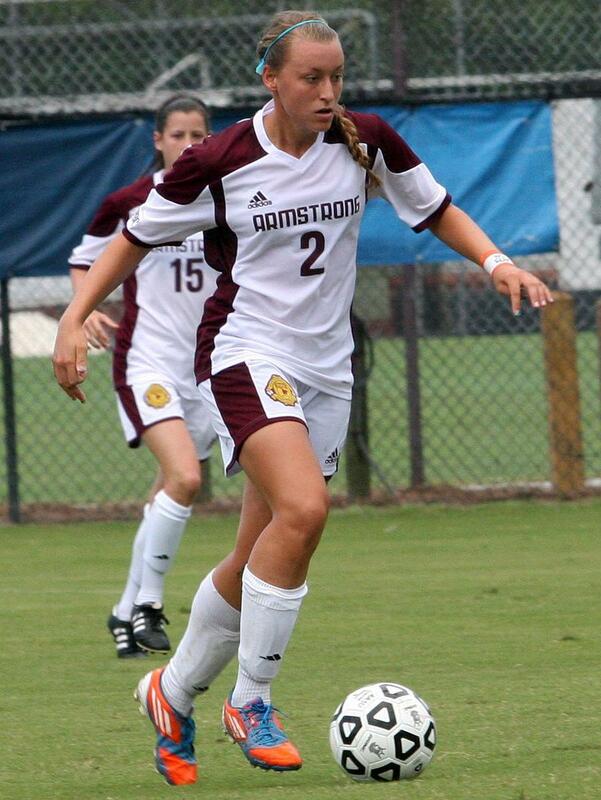 Another Armstrong freshman, Amanda Green, broke out into the open field with a rash of shots. Her shot bounced off the top bar of the goal, as did Allen’s. Brianne Matarazzo dumped a pass off to her fellow senior Taylor Valley, who finally scored making the score 2-1 in favor of the Pirates. The score held going into halftime. The Indians got their offense started back early in the second half when Frost zipped down the field and beat Luckie for her second goal of the contest less than a minute into the second half. Both offenses struggled until there was less than nine minutes left in the game. Catawba’s Kate Weisner had a wide open shot from the left side of the goal in the 81st minute and took advantage of it. She notched her first goal of the game and gave her team the eventual winning score of 3-2. One of those seven Armstrong freshman had a tremendous showing in her first regular season game of her college career. This was the first time the Pirates lost two straight home games, dating back to the end of last season, since the 2008 season. They avenged that loss on Sunday with a 3-0 victory over the Lynn University Fighting Knights. Allen had a goal early in the first half of the game, while Sarah Olin and Valley added goals in the second half. Olin also assisted in the other goals. The Pirates are now 1-1 after the opening weekend and will travel to Belmont Abbey on Friday and then Pfeiffer on Sunday.